Glitter. Glitter everywhere. Anyone in a sorority knows this word is synonymous with the week leading up to big/little reveal commonly referred to as clue week. If you’re one of those people that hates this girly aspect of sorority life, leave it to us to make sure your little knows just how much you love her. Pro tip: add a nice touch to any of these gifts by having a frat boy deliver them—it couldn’t hurt. Check out the best big little gifts money can buy. You don’t have to be Picasso, you just need to own a paintbrush. It’s easy, fast and inexpensive, but the best part is that they’ll work for any type of girl. Head to Pinterest and pick out a quote or design that relates to your little, and then Pinterest will take you through it step by step. Craft stores sell every letter in the alphabet, but your imagination can do the rest. Spell out your little’s name, her initials, or a basic word for decoration. Take the simple approach and use puffy paint to create a design, hot glue fake flowers for a more 3D look or mod podge on some pictures for a more personal touch. Isn’t that why you joined a sorority in the first place? This is the ideal opportunity to give away all of those old shirts taking up space in your drawers and the perfect excuse for buying the lettered clothing you could never really justify. One for her and one for you, right? Need we say more? Surprise your little with some of her favorite meals, her coffee order, her favorite candies and snacks and she’ll love you forever. It could be anything, as long as you personalize it just a little. Decorate wine glasses, shot glasses, a water bottle, a mason jar – really anything you might find around the house. What’s great about any of these is that you know your little will get use out of them. It doesn’t matter how old you are, there’s nothing like a stuffed animal to brighten your day. You can find large teddy bears at any convenience store, or add a personal touch and create your own at Build-a-Bear. This is a gift that lasts. Write about 20 different letters, and label each one with a different situation your little might find herself in. Writer her a letter for when she’s feeling lonely, one for when she’s stressed or even one for when she’s homesick. It will remind her that you’re always thinking of her. Part of the point of having a big is that you have someone who will have just as much fun staying in with you as they would going out with you. Put together a little basket with her favorite movies, popcorn, candy, magazines and some spa supplies. It might be cheesy, but it’s a classic. Everyone has room for a personal frame somewhere in her room. Your little loves you already, so give her an excuse to display you to the world. Finish out the week with a simple but classic gift, such as a nice piece of jewelry or a designer perfume. A girl can never have too much of her favorite guilty pleasures. 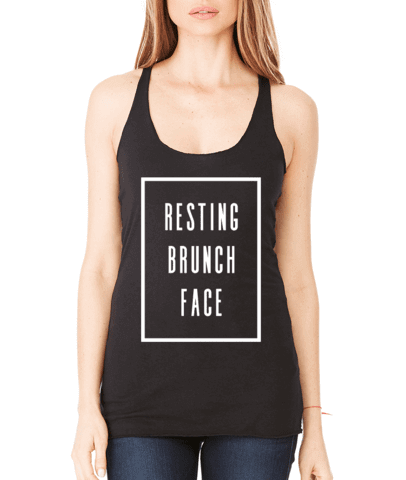 The best big little gifts are tank tops. So you can match all day, every day. Check out even more gifts to make a big impact on your little’s holiday. Surprise songs impress girls outside of awkward prom-asks. Round up those frat brothers on campus or your best guy friend and his squad and get them in on your gift idea. Find out when and where your Little has class. Have the boys wait outside the classroom until she walks out and sing a song to remind her how special she is. “I loved when I got serenaded. I thought that was so surprising and I felt very special because not all Bigs do that for their Littles,” said University of Connecticut junior and Alpha Epsilon Phi sister Lydia Parapimon. You don’t need to be a Shakespeare expert to do this. Don’t think you don’t have the capacity to write poetry—you SO do. If you choose to handwrite on beautiful stationery, your Little can hang up the poems and smile when reading them. Stir up those creative brain cells and come up with a rhyme or tune. Make sure to personalize the poems to further emphasize the connection you have with your little. “My favorite items I got from my bigs during big/little reveal were the ones that were really personalized. The poems they wrote were hysterical and showed that they knew me,” said University of Michigan sophomore and Sigma Delta Tau sister Emma Bruder. We all know that feeling (well, at least those of us in regions with four seasons) when we walk to class with the cold fall air scraping against our cheeks turning them bright red. Oh, how we fantasize about curling up in pajamas underneath warm blankets with a cup of hot chocolate. Get a mug for your little to make this fantasy come true. “I knew [my little] liked coffee so I made her a coffee mug that had a little Yoda on it and said, ‘Yoda One for Me, Little,’ since she is a Star Wars fan. Another gift I gave her was a shark oven mitt because she loves to bake and is obsessed with sharks. I wanted to give my little gifts that would hold meaning to her and that I knew she would appreciate because of how much thought I put into them,” said Montclair State University junior and Alpha Iota Chi sister Sarah DiPirro. As an added bonus to any gift of a mug or drinkware, put some packets of fancy hot cocoa or nice tea inside the mug and make it both the wrapping and gift itself. This gift makes a night in with your little easy and cozy. Make sure to pick up her favorite flavor of tea or favorite coffee grounds. Bonus points if you scoop up some bags of a seasonal flavor that she waits all year to drink. Whether you live in a dorm, an off-campus apartment or house, you need easy access to your keys. We’ve all had those moments where we spent five minutes digging through our bags looking for our keys which we swear we saw, like, two minutes ago. One day your Little will freak out about how she can’t get into her living space with the door locked and her roommates not home. Get her a keychain and turn this into a non-issue. “My Little really appreciated receiving a keychain since she was always one who couldn’t find her keys. She wears the keychain every day,” said Parapimon, who got her Little a keychain with the Alpha Epsilon Phi letters on it. Except for your teeth, who doesn’t love a sugary treat to boost their mood and please their taste buds? College students really appreciate having late night sugary snacks to keep them up while they cram for exams, make deadlines and write papers. Save your Little the money they would spend on Starbucks each day by giving them candy to keep them energized instead. “I got my little candies and she was so happy. I picked out her favorite ones. Reese’s, Kit Kats and Butterfingers. She said she snacked on them when she had a large homework load to help her get through it,” said University of Michigan sophomore and Alpha Omicron Pi sister Jessica Hellner. You just might want to give your Little some toothpaste, too, to ward off cavities. Delta Zetas love turtles and Chi Omega’s love owls. Your own school has its own mascot to cherish too. 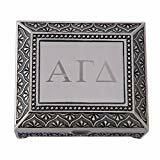 Give your little something to remember the best four years of their life even after graduation with something that represents their favorite sorority or school spirit animal. University of Connecticut junior and Kappa Beta Gamma sister Mairead Deacy talked about how she got her Little a stuffed animal. “Her favorite animal is a dog and our mascot is the husky so I️ bought her a little stuffed husky which she thought was adorable. She cuddles with him at night,” said Deacy. Can someone get me a stuffed animal Wolverine? I’m sold. A lot of times people express themselves with stickers of groups they’re involved in, favorite jokes, where they are from or their political views on their laptops. You can learn a lot about a person by walking around the library observing what kinds of stickers people have on their laptops. Girls want to show their pride in their sorority and laptop stickers prove it. “Many girls have laptop stickers at school, and everyone in sororities has a laptop sticker with their sorority name on it. I gave my little an AEPhi sticker so that she can show that she is part of a group that values sisterhood and love,” said Parapimon. What better way to make your little feel like part of the family? When the gloomy days hit and you feel like you have a dark cloud over your head the entire day, don’t let these feelings rain on your parade. Having some inspirational messages to look at can cheer you right up. That’s why Bigs love giving inspirational note cards to Littles. Sometimes, Bigs will write, “Be your best self” or “Never give up my little one” or “My little is beautiful inside and out.” Girls appreciate these. “One small thing that I loved was my Big made me little inspirational note cards that I would find in small boxes she made. These notes are now hung up in my room and it makes me smile every time I am feeling down,” said DiPirro. And if you make these note cards, they don’t cost you a dime. Help your Little schedule her life the old-fashioned way. What if your phone malfunctions and you lose all your important dates? A personalized, paper calendar works as a cute way to stay organized. “[My Little’s] a Disney fan like me, so I️ got her this really fancy Disney calendar by this Disney artist. She was sick of using mobile calendars and thought it was really cool. Since it’s November she wanted a calendar for the upcoming new year basically,” said Deacy. Giving your Little a calendar works as a double gift; it counts as both a planner and the gift of organization. We all know that being a Big means you need to get a little artsy here and there, too. One of the best gifts Sarah received was a Dory Canvas from her Big. Her Big painted Dory’s blue, yellow, and black body on the top of the canvas. She painted one of Dory’s famous quotations with a “Little” twist at the bottom in yellow. “She knew I loved Dory so she made me a canvas that says, ‘I shall call her my little, and she shall be mine, and she shall be my little’,” said DiPirro. Some day, your little will want to make her little just as happy as that. Minimize the cost of your grandlitte’s crafts for your little by supplying her with the products you used. Check out 10 more gifts to wrap up for your little this holiday season. If you have a little who can’t get enough lattes to fuel her pre-8 a.m. caffeine addiction, then picking up a few of these bad boys will surely sate her needs. Take the time to tailor two or three thoughtful gift cards around your little’s interests, whether or not she loves sports, online shopping or music. 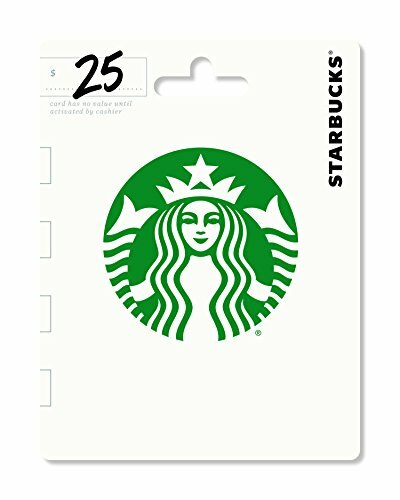 “If your big or little is obsessed with Starbucks, getting them a gift card is an easy and quick gift…that they’ll enjoy and definitely use,” Dayton University senior Elise McTamaney said. If you don’t have time to run all over the place, head to the grocery store—they have hundreds of gift cards in a variety of different prices. Have a car but don’t have the time? 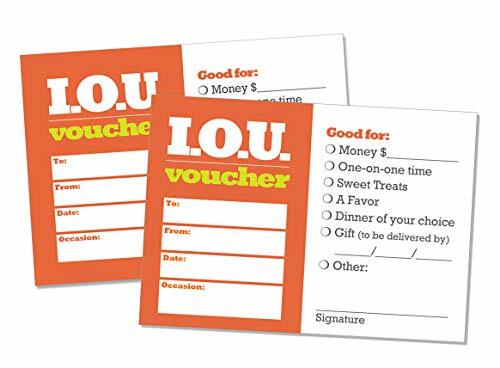 Give your little a voucher for a future date with the promise of a fun event later in the future. Hit up downtown for a dinner date, or spend some time at the mall on that lazy weekend you finally have. “My big couldn’t get me a milkshake during big little week, so she made me a voucher good for one milkshake bought by my big,” Tulane University junior Maya Klapper said. “She held her promise and our milkshake date was so much fun.” This way, you can plan events around each other’s times and not just your own. Nothing screams “I love my little” quite like a piece of jewelry. 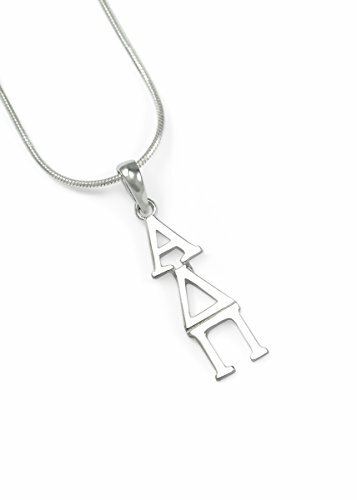 But not just any jewelry; get your little a necklace with your sisterhood letters on them. This way, she can always have a piece of the sorority with her wherever she goes, and she’ll look super stylish in chapter, too. Check out Etsy for multiple vendors that make all kinds of stylish Panhellenic pendants in either gold or silver. You might already have a tapestry over your bed or a banner hanging from your window, but if I have learned one thing in school, you can never have enough flags. Have you ever wanted to look like one of those ridiculously photogenic girls from those over-the-top sisterhood videos? 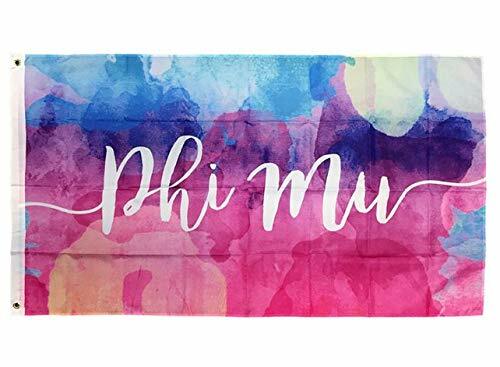 Get her a flag from Greek Gear with your sorority on it, and your little will get one step closer to looking like she came straight out of the promotional material. Plus, you can use the flags to wrap yourselves up in a srat-burrito; you literally can’t ask for cuter big-little pictures. Sweatshirts, sweatpants, fuzzy socks and everything in between. Whether you use them as sleepwear, lounging outfits or just your finals look, nothing feels better than a cozy sweatshirt straight from your big. 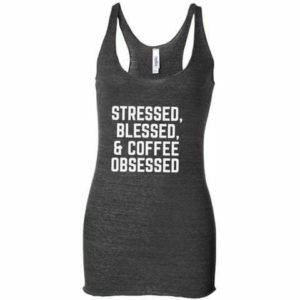 You can even get some matching sets, and rock that “I’m stressed out of my mind” look when finals come around the corner and you need to prep like you’ve got no tomorrow. At least you’ll get that studying done while you and your big rep your letters. Check out any local stores in the area (if you go to Tulane University, like me, hit up the Campus Connection store on Broadway Street), or shop at online stores like SomethingGreek.com for some cute clothing items. One of the many reasons that I love having people over—if they misbehave, I can strike them with my “Be Nice or Leave” pillow. 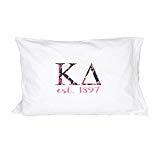 Likewise, give your little a sorority pillow for her room so it can not only look super cute, but can also ward off misbehaviors. You can order one printed or even hire someone to handmake one, if you’ve got the money for it of course. “I got an [Alpha Delta Pi] pillow that…was handwoven. It didn’t look like it was made by [my big], but it was made by hand,” Tulane University junior Ashley Saven said. A pillow from her big will make sure her slumber parties drip sorority cheer almost as much as she does. What does every little look forward to just as much as meeting their big? Meeting the rest of their awesome fam. 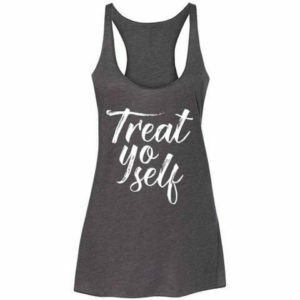 Get her something that really makes her feel like a part of the family, like matching shirts or even a cute framed photo of you, your big and your grand–big. 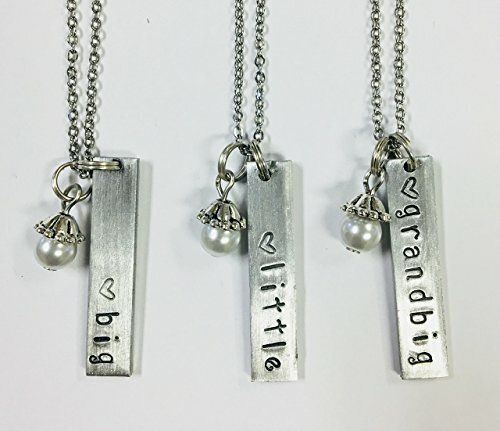 “Littles are so excited to get a big and join a sorority family, so seeing something that connects them to their fam gets them so excited,” Klapper said. Take some hella-cute photos when your fam meets up and then head out to tear up the town with the bigs, grand-bigs and great grand-bigs; that way, you can always keep the tradition going. A picture might seem worth a thousand words, but the bond between a little and big speaks a thousand and one words. When the holidays roll around, every little wants to know just how much her big has loved spending time with her. 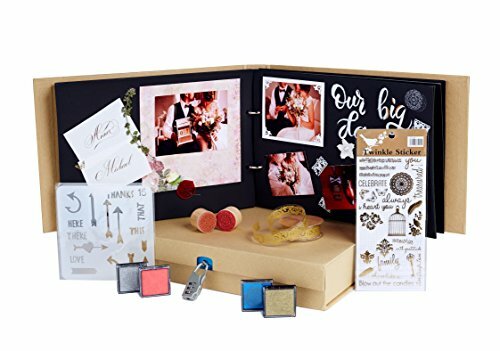 Print out some photos at your local drugstore and start scrapbooking, or maybe even spend the money to get a professional scrapbook made on Shutterfly or Google Photos. When you graduate and leave your little behind, make sure that she remembers all the great times that she’s spent with you as she enters her senior year. The sorority pin; every sorority’s treasured piece of jewelry, and also the easiest to lose. Everyone has them, but if you broke your pin box a long time ago (like me), treat your little to a pin case of her own. Get creative; go out to Michaels and decorate your heart out. “Pin boxes are always great. I made my own. I got wooden boxes from Michaels and painted them and added a little piece of fabric inside to protect the pin,” Tulane University senior Mollie Toubin said. Your little will appreciate the hard work that it took to keep her sorority pin nice and safe when she doesn’t have to attend chapter with the rest of the girls that week. We all have those moments when we just can’t take our bulky backpack everywhere. Yes, I know that might seem impossible, but I personally need tote bags for my groceries and my weekly meetings. And yes, your little would probably appreciate a nice tote bag to carry all her other big-little gifts. Honestly, you can find so many different styles of tote bags online that narrowing the choices down to only one might end up the most difficult part of big-little week. 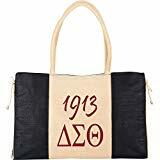 You can find tons of affordable totes online at stores like GreekU.com or GreekGear.com, or ask a sister if she has an extra she’d like to hand down. Throw in a matching clutch or a makeup bag if you want to spice things up even more. *Updated on December 14, 2017 by Elise Vocke to include gifts 11–21. **Updated on December 14, 2018 by Susan Fanelli to include items 22-31.